CEO Osamu Suzuki: “I was arrogant to think that I had been able to take care of this company on my own." TOKYO -- Suzuki Motor Corp. patriarch Osamu Suzuki is conceding that, at age 81, he's not quite the ueber-executive he used to be. As part of an executive shake-up effective April 1, Suzuki -- who holds the titles of chairman, CEO and COO -- appointed a four-person board to shoulder some of the management burden. The goal is to allow for faster, more efficient decision-making. But the move also points to a possible succession plan amid concern Suzuki wasn't cultivating executives to take his place. "Suzuki decided on this panel himself," a Suzuki spokesman said, citing external shocks in recent years such as the global financial meltdown, the yen's surge in value against foreign currencies and the supply chain breakdown after Japan's earthquake. "It's just too much for one person," the spokesman said. The new board is led by Toshihiro Suzuki, Suzuki's eldest son, who heads overseas sales. Also on the panel: Osamu Honda, head of automotive r&d; Minoru Tamura, head of domestic sales; and Yasuhito Harayama, who leads business development. "I was arrogant to think that I had been able to take care of this company on my own," the elder Suzuki told reporters Friday, while announcing the changes. "But I realized that the firm was no longer an organization that a single person could control." Suzuki's U.S. operations also will be led by a new management team as part of the overhaul. Takashi Iwatsuki was named to the newly created position of chairman of American Suzuki Motor Corp. He will oversee all operations, including automobiles, motorcycles and outboard motors. The automaker's U.S. auto operations also received a new leader, with Seiichi Maruyama replacing Kinji Saito as president. 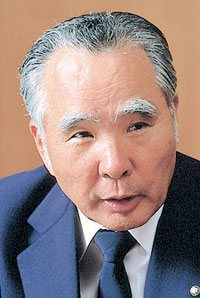 Saito had handled all arms of Suzuki's automotive business. The shift is intended to refine Suzuki's focus on the U.S. auto market. Suzuki's U.S. sales are up 18 percent this year, but some models, such as the Kizashi sport sedan, have lagged the company's sales expectations.